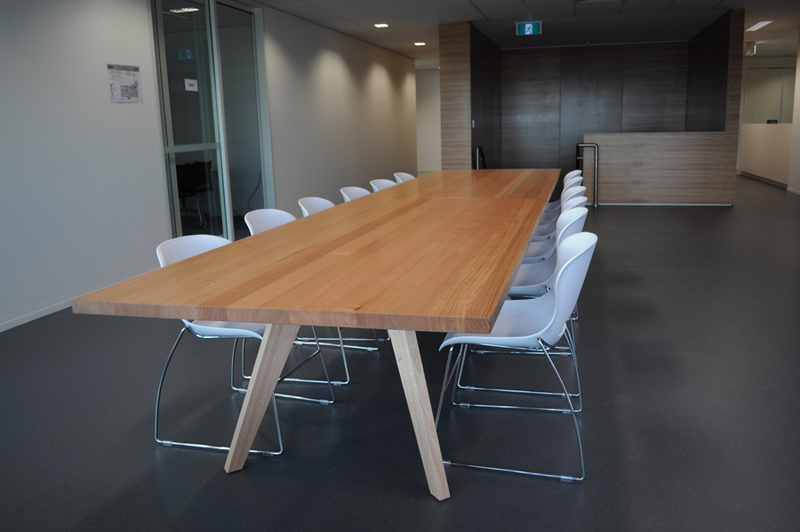 flex breakout table 5000mm long finished in solid tasmanian oak was designed by hassell for the enerflex fitout in eagle farm. 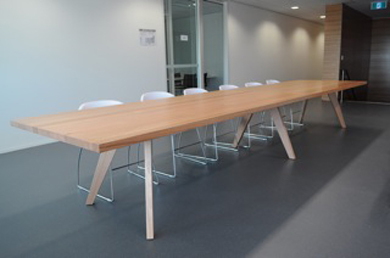 this australian designed custom table is flexible in customer’s own dimensions and flexible in selection of solid timber or veneer top. the under frame is powder coated mild steel for extra stability. Flex table is to accommodate data points and customise to your requirements.